Hanoi (VNA) – Receiving more than 7,100 Vietnamese guest workers in March, Japan is the largest market for this group of jobseekers, according to the statistics from the Department of Overseas Labour under the Ministry of Labour, Invalids and Social Affairs (MoLISA). It was followed by Taiwan (China) with 5,807, the Republic of Korea with 457, and Malaysia with 102. Other markets such as Arab Saudi, Algeria and Romania also attracted Vietnamese workers. The total number of workers sent abroad topped 13,900 during the month, more than 5,000 of them women. In the first quarter of this year, over 32,300 Vietnamese workers were sent abroad, or 27 percent of the yearly plan. Of this, 19,000 went to Japan. Vietnam has so far sent more than 200,000 workers to Japan, surpassing China in terms of the annual number of workers sent abroad and the number of trainees in Japan among 15 countries. Japanese localities also worked closely with Vietnam in human resources development. In mid-March, the MoLISA and authorities of the Japanese prefecture of Chiba signed a Memorandum of Understanding on human resources development, which will establish a cooperation framework in sending and receiving engineers, technicians, skilled trainees, and vocational students in fields of shared interest. Chiba Governor Kensaku Morita said there are currently 54,000 foreign workers in the prefecture, 14,000 of them from Vietnam. 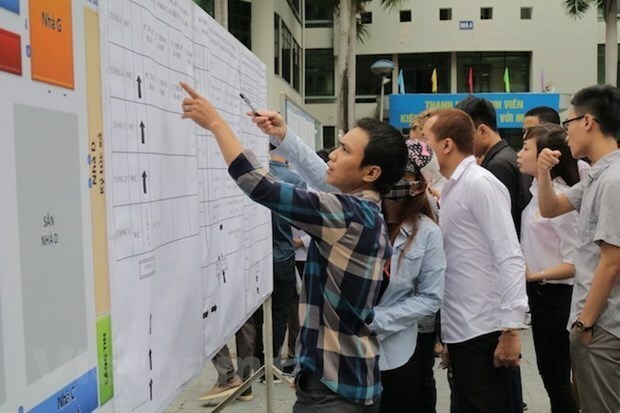 He added that local firms highly appreciate the Vietnamese workers’ hard-working spirit, and that is why the prefecture has offered support to help them adapt to the new life.